HVAC SEO is the process of improving a web presence in order to rank higher on Google search results for relevant keywords. High ranking heating & cooling websites generate the most leads and get the most business. The Team at HVAC Webmasters discusses some of the most important topics in digital marketing. If you are interested in improving areas of your online presence, give us a call today at (800) 353-3409. Online promotion is more accessible than it has ever been which presents more resources along with increased competition. One of the most affordable ways to generate HVAC leads is Search Engine Optimization. 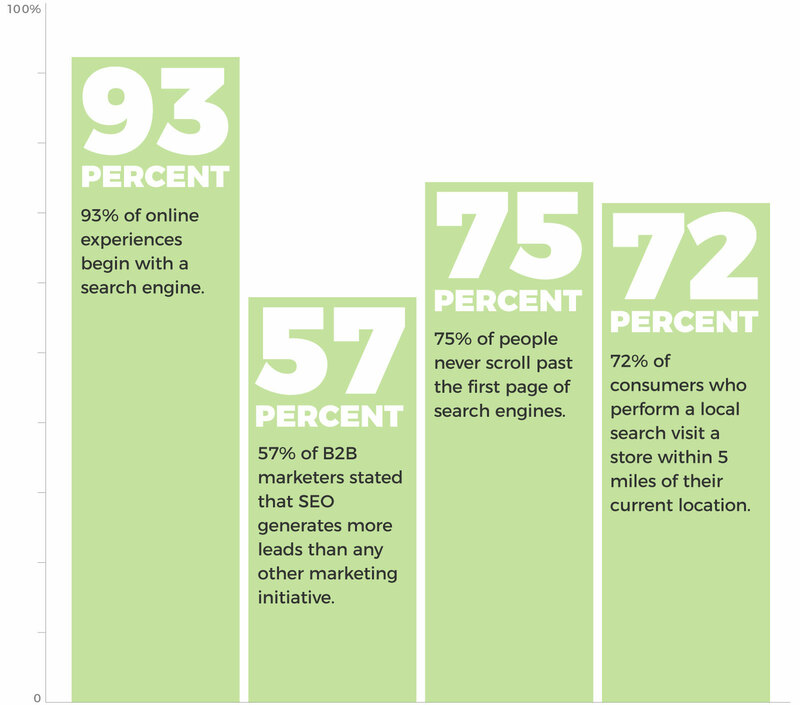 Local HVAC contractors can benefit from SEO in a number of ways but the ultimate goal is to increase sales conversions. As anyone who has worked in this industry has become intimately aware of, there are many companies competing for the same customers. That has been true since before Google ever existed. In the pre-internet era, contractors would rack up leads through outbound marketing tactics like print ads and billboards. Certain companies continue to invest in those platforms perhaps not realizing that digital channels have rendered them obsolete. From Google searches, to Google Maps listings, to social media pages, to online business directories, there is 24/7 accessibility for the consumer to find an HVAC service in their local area, and to contact them immediately. The first part of the optimization process is the planning phase. SEO is a very deliberate process that is informed by research and intention, things only made possible through planning. The plan if you will is an optimization strategy. This document should identify target keywords, and layout a logical URL hierarchy for your HVAC company website. Strategies should be developed based on extensive research using tools like MOZ, SEMRush, & UberSuggest to gauge a keyword’s volume and relative competition level. As much energy should go into the strategy planning as its execution since the basis for a successful marketing campaign starts in the early stages. If you have enough trust in the plan, implementing it becomes an easier process. Keyword relevance is a major factor during research. While volume projects how many clicks a particular keyword will receive per month, those numbers can be misleading when taken out of context. Ranking for a keyword that doesn’t meet the need of the searcher will have a counterproductive impact on your website’s health and ranking ability. HVAC contractors in Dallas, TX should target potential customers in need of heating or cooling services within the DFW Metroplex. Ranking for keywords like “Dallas ac repair” will be very helpful, but appearing on results for terms like “diy ac repair” will not. The former example represents someone with buyer’s intent while the latter shows someone looking for instructions. These nuances should always be considered while conducting keyword research. 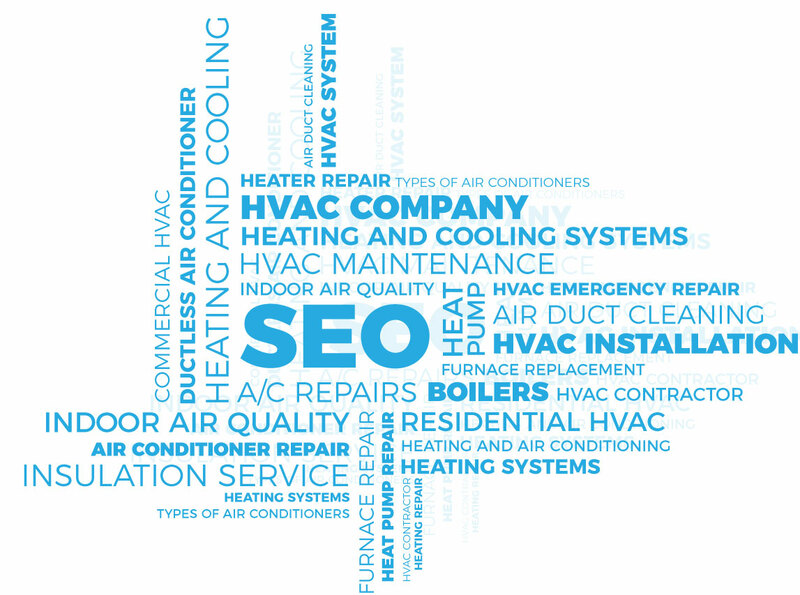 The heating & cooling industry comes with its fair share of keywords. There’s so many services that a contractor can provide and enough of a demand to create keyword volume for the majority of them. As you might imagine, industry keywords can fluctuate and volume based on season. The term “ac repair” will be more popular in the summer months while “heating repair” will perform better during winter. Depending on the climate of your service area, this will matter more or less. Keyword research tools have become comprehensive in recent years and really give companies an idea about difficulty, competition, and local demand for an ideal SEO strategy. As a local contractor, the goal is to rank for local terms. Most of your customers will search for services through their mobile device and their current location will determine their Maps results. For this reason, it’s wise to include local terms within your target keyword. When combining a local keyword with an industry keyword, you’ve created what is known as a long tail keyword. These typically have less volume than a term that is searched for on a national scale, but also offers more precise targeting and relevance which is what SEO is all about for local businesses. Volume is important but ranking for a variety of terms within a larger category can be helpful to the overall health of a website. If you offer specific services like coolant & leak repair, the volume is going to be lower, but the opportunity is going to be higher. Furthermore, you can build topical relevance by creating pages about related topics. For instance, electric furnace repair could be a subcategory of heating on your website and Google can crawl both pages and associate them one with another. As you build topical relevance, the pages should begin to have reciprocative influence on eachother and boost both the quantity and quality of your rankings. Speaking of topical relevance, URL structure should be both topical and logical. There’s two types of pages that exist on a website. Parent pages and child pages. Parent pages exist on the top level of a domain. For example, yourwebsite.com/services would be a parent page. Child pages are on a lower level of the domain (which can drill down several levels). An example of a child page would be yourwebsite.com/services/ac-repair. A clear and logical structure should be developed as part of the SEO strategy and be based on keyword research and relevance. Brand images are the best and highest quality photos to put on a company website. This means that pictures of your employees, facilities, equipment, and logo are the best to display. These kinds of images are easier than ever to create with most smartphones now having cameras and the ability to text or email pictures to others or store them for future use. You’ll see this often on social media pages for small businesses, and it should be extended should be d to your website as well. Images should be pre-approved as part of your SEO strategy, and specific image files should be designated for each page. The homepage should have several photos while the parent and child pages should be enhanced based on the relevance of the page in relation to the image. Our services target buyer intent keywords, meaning terms that will actually lead to sales conversions. Some marketing services ask their clients to “pick keywords” … which is something we don’t do. Why? Because it’s stupid. To rank well on Google, you can’t “pick keywords.” you must instead create a multi page website that markets for all of the services you offer. For example, the homepage might have a local keyword like HVAC contractor in (City) while your AC repair page might be optimized for AC repair in (City). We don’t limit your website to a set number of keywords. We target everything that will help. In recent years, Google has recalibrated its standards, and placed far greater value on quality content that educates and informs readers, rather than content that exists for the sole purpose of increasing search ranking. Unfortunately, companies across all industries have been slow to adjust, and have suffered by losing out on leads that would otherwise be available. Plumbing Webmasters provides cutting edge SEO services to contractors throughout the United States. By partnering with us, your company will never again suffer from stagnation or participate in antiquated practices. We evaluate new trends in the industry, and evolve alongside Google. As you might imagine buyer intent keywords are more likely to be searched for by interested consumers. The second list of terms are more likely to be queried by people with no interest in buying your services. Many of them are looking for do-it-yourself tips (DIY). Bottom line is, they don’t want to spend money and therefore can’t help your business. When SEO companies optimize websites to rank for terms without buyer intent, they might point to the high traffic numbers. The problem is that none of that traffic will convert, making it irrelevant. 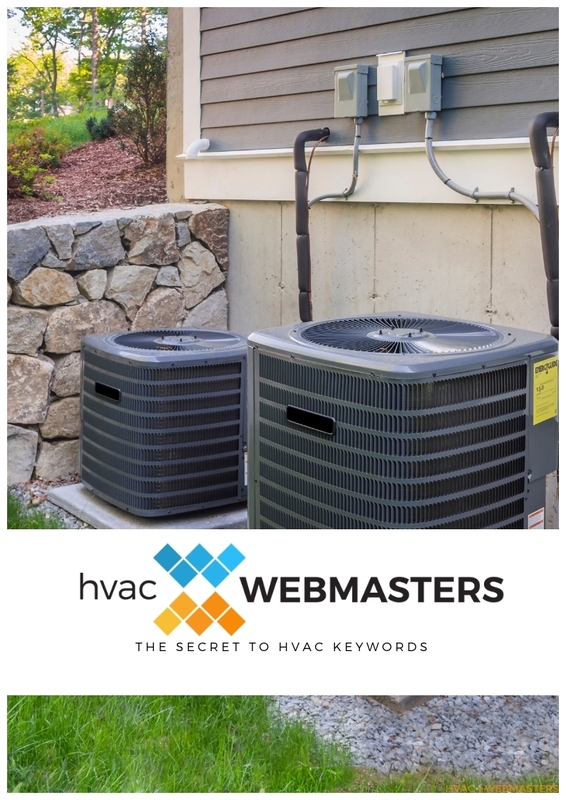 HVAC Webmasters optimizes your site for keywords with high conversion potential. Once the strategy is developed and documented, the implementation can begin. SEO is simpler to understand when it is separated into small categories. Thinking about SEO as a single task is a mistake for HVAC companies. The process has so many elements and they all work together to formulate a larger scale impact. The ultimate goal is to improve search visibility on Google. Keeping your eyes on the final result will help you resist becoming overwhelmed by the sheer amount of concepts associated with search engine optimization. Don’t expect to grasp every element immediately since anyone without prior knowledge of digital marketing will go through a learning process. 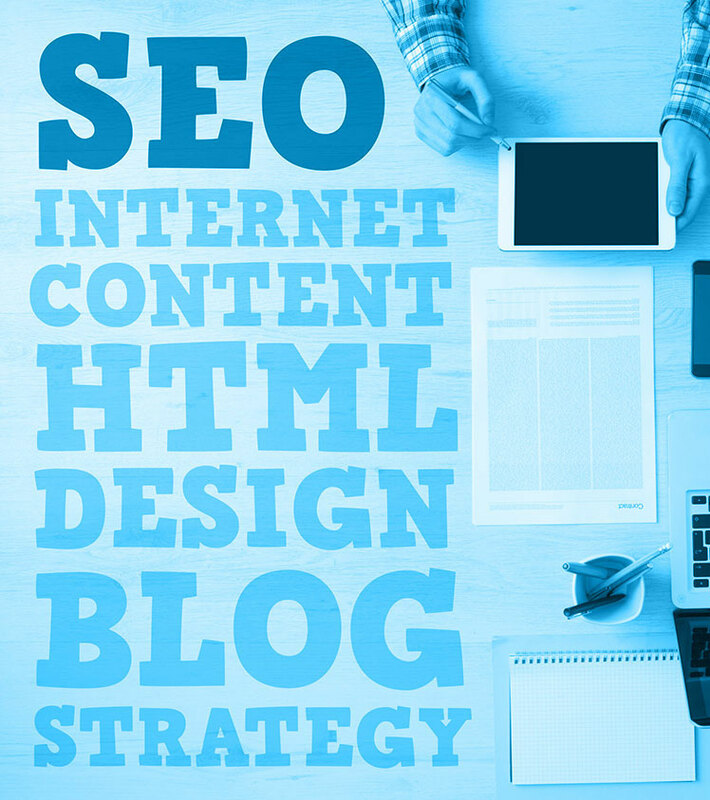 The SEO strategy outlined previously helps guide implementation with precision and detail. Putting energy and effort into the strategy really pays off when optimizing a website since there’s no second guessing about “is this the right keyword?” or “is this the right URL structure?” All of that information is already organized and is confirmed by research and critical thought. SEO is not something to make up as you go along. Since everything can be measured and documented, the entire ordeal should be based on analytical information rather than gut feeling. Keep in mind as well that Google's algorithm is constantly evolving so changes will be constant. A website is the foundation of every online presence and it is critical to SEO success. Once a potential customer visits your HVAC website they will have an opinion on it in only seconds. If the opinion is favorable they will stick around, if not they are gone just as quickly as the entered and will move on to the next search result. Multiple design elements influence user experience but one of the most important is customization. Websites built by professional designers tend to look more appealing than those made with templates and Google can also more easily index them, especially if they utilize a microdata code language like schema.org. Aesthetics, display, responsiveness, and navigation are other critical factors in website design. But without a strong code base, elements that would otherwise engage a user remain unseen. 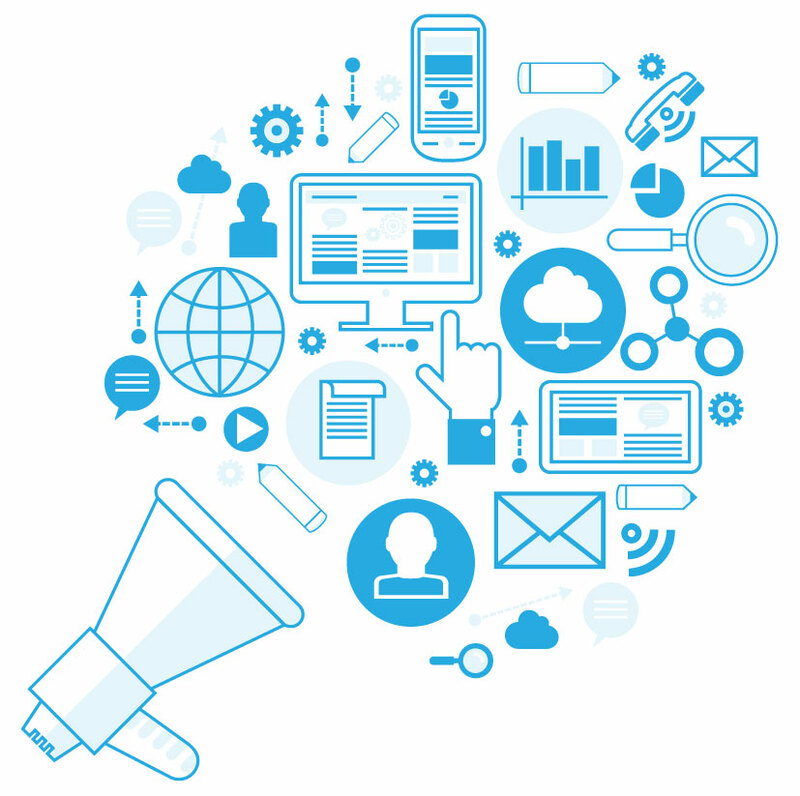 CTA or calls to action inspire visitors to enter what is known as a sales funnel. A CTA can be anything from a clickable phone number to a sign up here button. 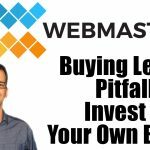 Whether they are directly calling your office line or signing up for an email newsletter, they are entering some portion of the sales funnel. When including CTA on a website, there should be clear urgency and incentive for the user. Additionally, the action should be as convenient as possible and require little thinking or effort. An example of this would again be the clickable phone number which a mobile user could simply click on to connect directly to your office line, and possibly become a sale in minutes. Any awards or certifications possessed by your HVAC company should be displayed on the website. The same is true of publications in which you were featured. Examples of certifications include the Better Business Bureau Accreditation along with the Angie’s List Super Service Award. As for publications, any local newspaper or blog that conducted an interview with you or one of your employees can be added to the “featured on” section of your website. Displaying badges is all about instilling trust in your potential customers as they browse your website and form a more informed opinion about your business. As a local HVAC contract you probably understand the importance of online reviews, especially on Google and Facebook. But reviews displayed on your website can also be helpful. Luckily there's a way to leverage Google and Facebook reviews and showcase them on your website. This is doubly advantageous for contractors because it populates your company site with user-generated content. Google loves nothing more than content about your business generated by actual customers. Since Google and Facebook require reviews verification, visitors will be confident in the legitimacy of the testimonials, as opposed to if they were just copied & pasted from another source. The Righteous Reviews widget from HVAC Webmasters integrates external reviews from reliable sources. Most visitors find your website on their mobile device. In 2019, internet access for the average person is 24/7. They have a smartphone on them at all times and can surf the web at any point throughout the day. Knowing this, a website should always be optimized with mobile in mind. The mobile-first index update from Google confirms the prioritization of mobile websites and encourages webmasters to pay it close attention. Several steps can be taken to enhance a mobile page including simple navigation, responsive design, and interactivity. In contrast, qualities that might discourage a mobile user include slow site speed, image distortion, and narrow or oversized viewports. These should be avoided or corrected if applicable. 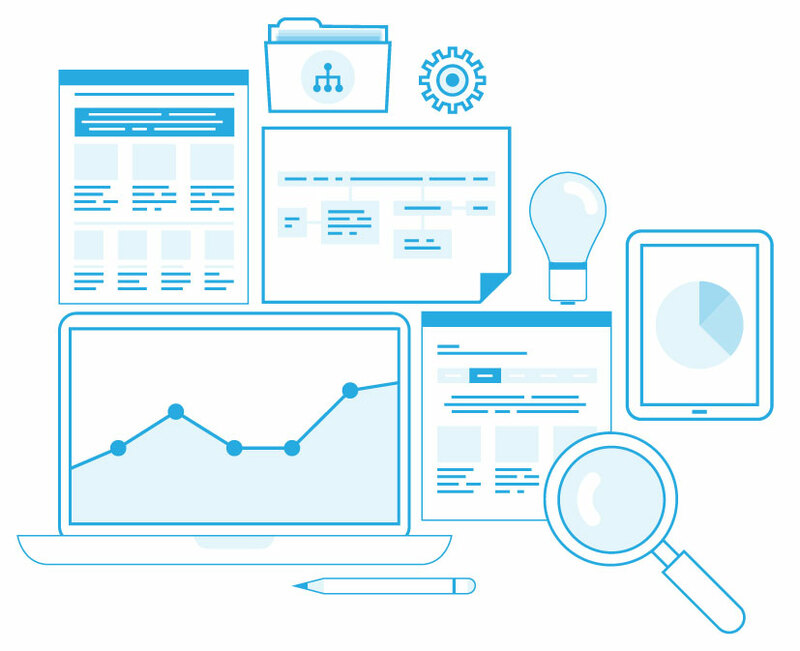 Website reporting is made possible with Google Analytics. By installing tracking code within a website’s HTML, Google can track visitors and webmasters can analyze trends. Having access to such reliable information (consider the source after all) can help instruct ways to improve your SEO, CRO, and general user experience. Reporting on Google Analytics is made simple, especially with what is known as the Acquisition Report. The AR reveals how many visitors access your website per month, per week, and even per day. Furthermore, it breaks down the source of the traffic by organic, referral, and direct. With data coming straight from the ultimate authority (Google itself) the numbers can be trusted and used to conduct ongoing improvements. SSL or secure sockets layer is a security protocol for website domains. Part of user experience is the visitor’s feeling of security or lack thereof. Secure URLs are https:// while “insecure” ones are http://. If your website is the latter, most browsers will warn the user that the site is not secure. This clearly discourages a favorable user experience and in fact encourages the would-be visitor to abandon their entrance into your sales funnel. Since SSL influences user experience, its impact on SEO is legitimate, even if technically indirect. Again, all of these finer details combined make a large difference. 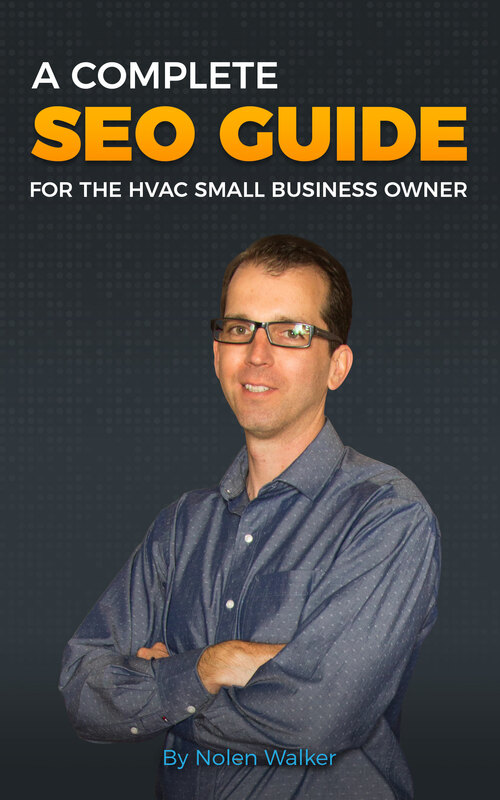 HVAC Webmasters is considered among the best SEO companies for small businesses. Having helped AC companies reach their fullest potential since 2013, we’ve established ourselves as a trusted service that contractors can rely on. Our niche specificity also separates us from other general marketing firms. 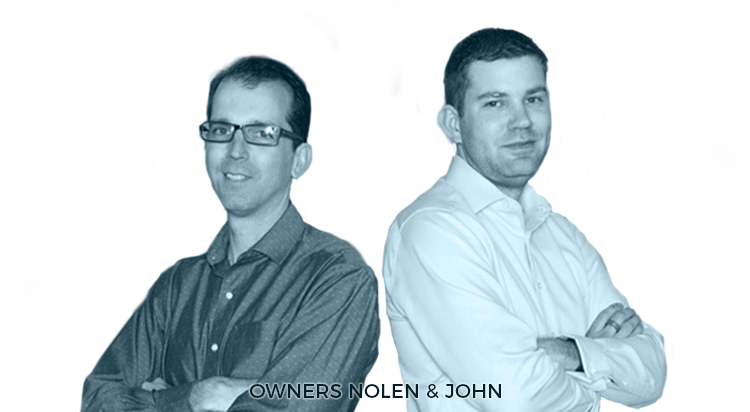 We deal with HVAC contractors personally, so we understand the market better than most. Call (800) 353-3409 now to ask our owners personally about evidence of HVAC Webmasters’ excellence. We are a national company meaning we work with contractors throughout the United States. You mustn't worry about competing with another one of our local HVAC clients, since we ensure a unique strategy for each of our contractors. No two websites are the same with our services, and the same is true of keyword strategies, semantic markup, and blogger outreach. Most people with general knowledge of SEO are most familiar with on page SEO. That’s because keyword placement, meta descriptions, title tags, and header tags, are the most widely referenced aspects of optimization and can all be characterized as on page elements. The term on page SEO is fairly self-explanatory in that it refers to optimization that takes place directly on a webpage. Using keywords identified in the research and planning stage, on page SEO empowers you to begin to implement them onto your pages. These tasks are made simpler with WordPress and the plugin Yoast, which allow for keywords, meta descriptions, headers, and title tags to all be entered without knowledge of HTML. HVAC SEO does not work overnight but it has a chance to become the most consistent and sustainable digital asset for your business. Pages that optimize today might end up being lead generation funnels in years ahead. Pages can establish trust overtime, mostly by tenure and link building, along with user behavioral metrics that indicate a favorable user experience. The more efficiently and precisely on page SEO is executed, the more valuable the page itself becomes, especially as a long-term business asset and generator of leads. On page elements also set the stage to implement off site and technical aspects of SEO. On page SEO is where keywords show their worth. They should be input into several areas on a page, including meta descriptions, title tags, header tags, image alt text, and body content. In each case, placing the keyword at the beginning of the sentence makes it more valuable for SEO. One thing to be weary of is redundancy. Google strongly discourages keyword stuffing in any area of your website. So don’t over-do the title or header tags with keyword-stuffed headlines. As for the paragraph (body content), keep the keywords to a minimum. You want to use them at least once but there should be synonyms used to supplement them so the same word doesn’t keep showing up and aggravate the reader. Keyword stuffing is clearly spam. The answer to keyword stuffing is Latent Semantic Indexing (LSI) also known as semantic search. Using tools like LSIGraph.com, contractors can find terms associated with their primary keyword and use them throughout on page elements, specifically body content. This process allows for you to hammer home a subject without keyword stuffing. Google prefers to see a range of terms that are associated with one another, rather than the same term used over and over again. The reader’s experience should always be the first consideration, and LSI keywords can enhance that as well. By switching up terms, the reading flows more naturally and organically and seems less forced. LSI is all about topics relating to each other which helps establish authority in Google’s eyes. An SEO Title is known as a Title Tag and it’s the main title of your webpage that appears on Google SERPs. It is the most basic way to tell the user and the search engine (Google) what your website is about. That’s why it should be relevant, topical, and indicative of what the page is about. In addition to those qualities, an SEO title should also have CTR appeal. CTR or click through rate is the ratio by which users who see your result actually click on it. Adding an enticing headline to your title tag can encourage them to click through but make sure the headline is surrounded by a main keyword and is representative of the page, rather than clickbait. A Title Tag for a local HVAC contractor could be Dallas AC & Heating Services | 24/7 HVAC Repair. The first part of the title tag has the keyword “Dallas AC & Heating” while the second part is an enticement for the user to click through, especially if they are desperately looking for ac repair at an odd hour of the night. Every search result is accompanied by a description underneath the Title Tag. Meta Descriptions should be between 150-160 characters to guarantee proper display without being cut off. Google temporarily increased that number to 300 but quickly shifted it back. The Meta Description is an expansion of the title tag and provides more space to educate the user about your webpage. Like with the Title Tag, you want at least one keyword within the description. You can also add a phone number to your meta description so that your contact info is displayed before the user even enters the site. Headers help organize and format on page content which makes them an SEO factor. Additionally, MOZ concludes that placing a keyword in the H1 tag is a ranking factor for Google. The H1 is the largest of the header types. There are also H2s H3s and in some cases H4s, H5s, and H6s. How many heading types are available depends on the web designer’s CSS style sheet. The H1 is most important for SEO while the others are essentially to organize content and enhance the user experience. So in totality, headers have both a direct and indirect impact on search ranking. The last part of a URL is known as the slug. When a slug is added an published, the link becomes known as a permalink. If you publish a page on AC repair the URL would read yourwebsite.com/ac-repair which would be its permalink. As you might have gathered from the name, a permalink is permanent. Once it is published it cannot be changed without creating all kinds of crawl errors on your website --- none of which help SEO in any manner, and can actually severely hinder it. So choose a permalink that makes the most sense for the page. If it contains a keyword, that’s ideal, and try to keep it as short and concise as possible. One misnomer about images is that they can be thrown onto a page and accepted by Google based on their visual presentation. That’s not the case. While the visual certainly enhances user experience, the Alt Text is what communicates the images context. This starts with properly naming the image file and then adding the alt text once it’s uploaded to WordPress or whatever CMS you are utilizing. Filenames should be written in lowercase with dashes. If you have an image of your HVAC truck, the image file should be hvac-company-truck.jpg or something similar. Once uploaded, the Alt Text should be edited to say Company Name Truck. This process should be paralleled with other images based on what they show. There’s only so many on page factors for SEO. Many of the elements that influence search ranking take place away from the website or webpage. 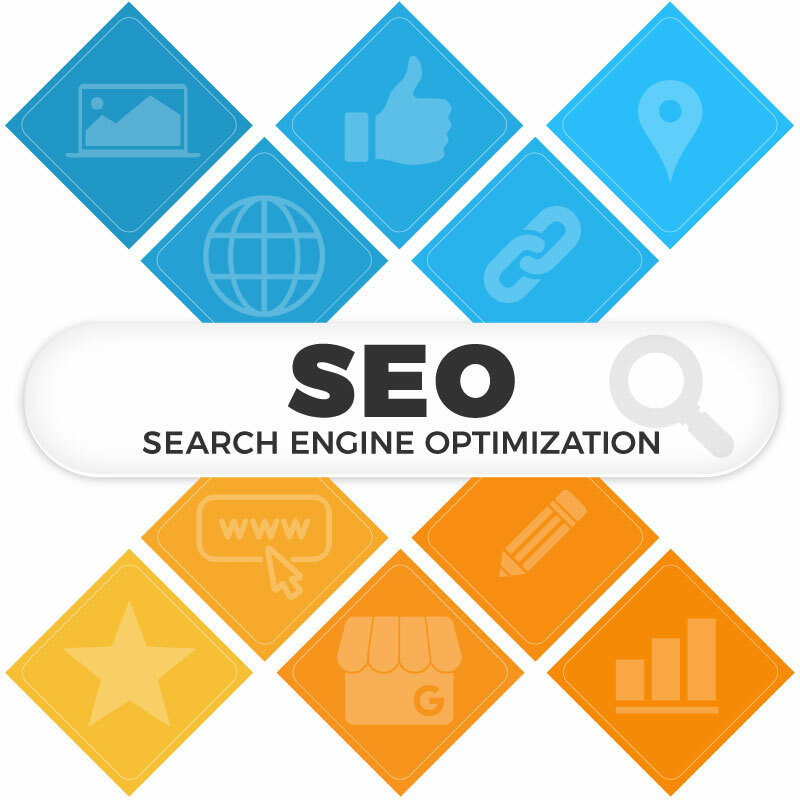 These elements are known in combination as off site SEO factors. When Google first launched, the ranking algorithm was very simplistic and relied almost entirely on inbound link signals. In other words, the websites and webpages with the most links pointing towards it would rank the highest. It was a sophomoric way to measure trust and relevance and had many holes that were exploited by SEO’s of the time. Today, those holes have been closed, and manipulation through links is mostly a non-factor. Still, links matter quite a bit, the difference now is that they must be earned legitimately. The difference between link building and link earning is nuanced to some. Link building could mean anything, including manipulative tactics like spamming blog comments with your HVAC URL. Link earning is a much more organic process and has more to do with creating and marketing the highest quality content assets so that other websites will naturally link back to them. There’s ways to market content today that were not possible a decade prior. For instance, social media platforms like Facebook and Twitter give contractors an opportunity to post links to blog posts, pages, and services, and hopefully expand brand awareness. A website used to be the only way to find an HVAC company online. Today, there’s a wide array of 3rd party platforms that can be used to leverage a brand. Social media is perhaps the most notable example of this emergence. Platforms like Facebook, Instagram, Twitter, LinkedIn, & YouTube are each consumed by millions of users each day and provide an external domain on which a local business can promote themselves. Because these platforms have massive followings and communities, there’s great incentive to joining them. Google takes note of their significance as well by giving them ranking priority, including for brand pages like yours would be. Earning inbound links is not easy but it is worthwhile. Like we mentioned, link building was once a pretty sketchy process and very easy to manipulate. Today it is much more difficult but also more ethical. Google values links of quality and relevance. Quality is determined by the authority of the domain providing the inbound link to your site. Relevance is determined by the context of the link as it relates to the significance of the external domain to the page it links to. The most efficient and sustainable way to earn links is by creating great content and marketing it through social media and other channels. If your content provides value and goes viral, it will make its way into links in a natural way. You might think that posting your service page on your Facebook page is a great way to create a high quality inbound link. After all, Facebook is an authoritative domain and your Facebook Business Page is highly relevant to your site. But not all links carry the same weight in the eyes of Google. Links from social media are tagged as NoFollow links. 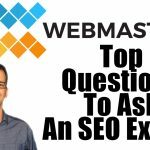 What this means is that while they do provide indirect SEO value, they are not considered a vote of confidence in the way that a Follow link is. The reason for this is that these links are being created manually by the user. It’s not as if the President of Facebook has decided to link to you, you’ve decided to link to yourself. Although NoFollow links don’t count for metrics such as Domain Authority, they still have indirect value and should not be ignored or minimized. DoFollow links, sometimes called simply; Follow links are ones that carry significant weight as it pertains to link metrics like Domain Authority. 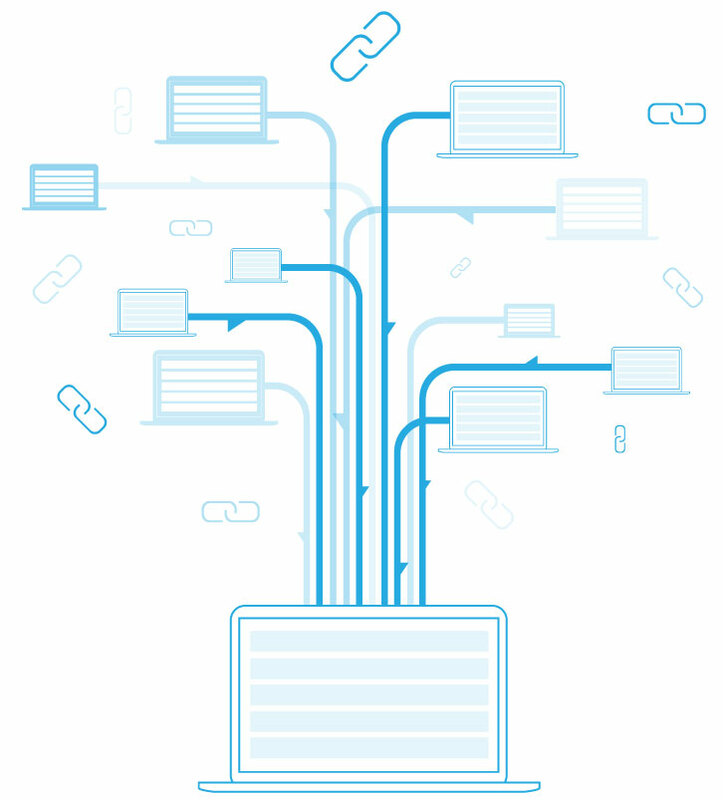 A DoFollow link is considered a vote of confidence from one domain to another one. Because unlike Facebook and other social platforms, links like these must be inserted by the webmaster themselves and therefore cannot simply be manually placed by anyone at anytime. There are ways to encourage more DoFollow links by conducting blogger outreach --- a method of reaching out to bloggers and writing for their page so that you can place a link (with their approval). Other ways to get DoFollow links is to network with other companies who might place a logo to your company on the footer of their homepage as a recommendation of sorts. We’ve been marketing for HVAC companies for the better part of the past decade. We understand the evolution of Google’s algorithm and constantly stay on top of its major and minor changes. Our success is proven by our hundreds of loyal clients who continue to utilize our marketing services to their benefit. General SEO companies attempt to apply typical marketing concepts to a large range of industries where as we focus on your specific niche. It gives us an advantage because not all marketing strategies are transferable across industry lines. We work with contractors and know what helps them reach their digital marketing goals in 2019. HVAC Webmasters is a white-hat SEO company meaning we follow Google’s guidelines to the letter. In that same vein we refrain from black-hat SEO tactics that can get a website penalized by the search engine. There will always be some SEO’s attempting to trick the algorithm but it presents a great risk to their client and is not something we recommend to any heating & cooling company. Even if tactics like these worked initially, it’s hard to imagine them sustaining over time. The strategies we implement are built to last and serve as a long-term business asset. We consider ourselves the most elite HVAC SEO company in the country. With hundreds of clients already signed up, we have helped launch, expand, and sustain the brands of countless contractors throughout the United States. Our core principles are what attracts hard working contractors to our services and our openness to executing their vision is what keeps them satisfied. At the end of the day, we all want to grow our business and generate leads at an affordable rate. By understanding the mindset of our clients, we can work with them to make their vision become a reality in 2019 and far beyond. Call HVAC Webmasters at (800) 353-3409 to Generate HVAC Leads With SEO! Updated on February 25, 2019 at 5:30 pm by HVAC Webmasters. Posted: Apr 3, 2019 | Updated: Apr 3, 2019 | Categories: Podcast. Posted: Mar 26, 2019 | Updated: Mar 26, 2019 | Categories: Lead Generation. They Can Optimize Their Own Site But Will They Optimize Yours? Posted: Mar 13, 2019 | Updated: Mar 13, 2019 | Categories: Podcast. Posted: Mar 8, 2019 | Updated: Mar 8, 2019 | Categories: Podcast. Posted: Feb 28, 2019 | Updated: Feb 28, 2019 | Categories: Podcast.